Once a month Pete Rock and his favorite guest DJ alongside Deadly Dragon Sound will play the finest in Soul, Reggae & Hip Hop hosted by The 303 at Louie & Chan, located where the lower east side and old Chinatown connects; and its free and open to NYC music elite (RSVP is mandatory and is the only requirement). 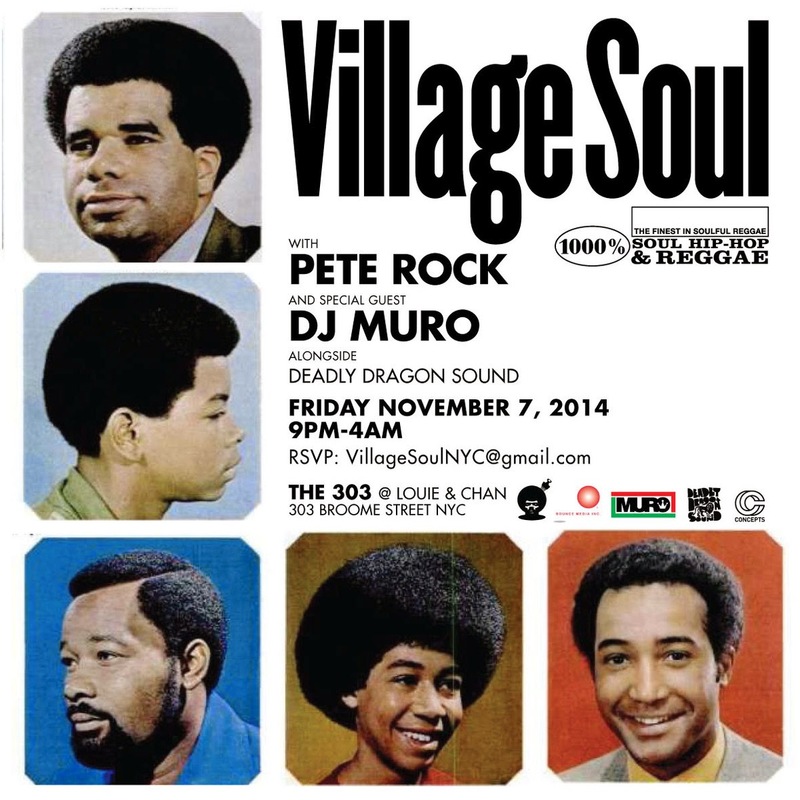 This Friday November 7, Pete Rock’s guest will be DJ Muro from Japan. Late night dining will be available from 12 to 2am and it will be the first of many great NYC nights. Also, be sure to listen to Pete’s new mixtape: time is illmatic which was premiered by Complex.com last week.